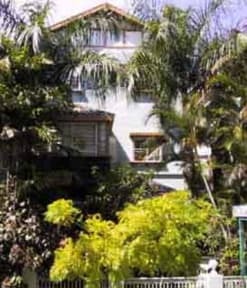 The Palms Backpackers i Sydney, Australien: Reservér nu! Situated on the edge of Kings Cross 'The Palms' is ideally located for those wanting to explore Sydney! Its central location also provides an excellent base for jobseekers looking for work in the city. Located in the South East corner of the city its a 15min walk through the Botanical gardens to the Opera house and Harbour Bridge. In the other direction you are only 20 minutes from Bondi Beach and a fifteen minute walk from Oxford St. Shopping. We have the best value for money in town with free internet, free breakfast, free tea & coffee, and clean, freshly made beds! The Palms is a small hostel with only 50 beds in total, this creates a fantastic friendly atmosphere more like that of a student house than a business with many people who stay making friends they will keep for years to come. The Palms Backpackers is an International Youth Hostel. Bookings are only accepted from overseas visitors.